BROUARDEL, P. (Paul) and F. Lucas Benham. 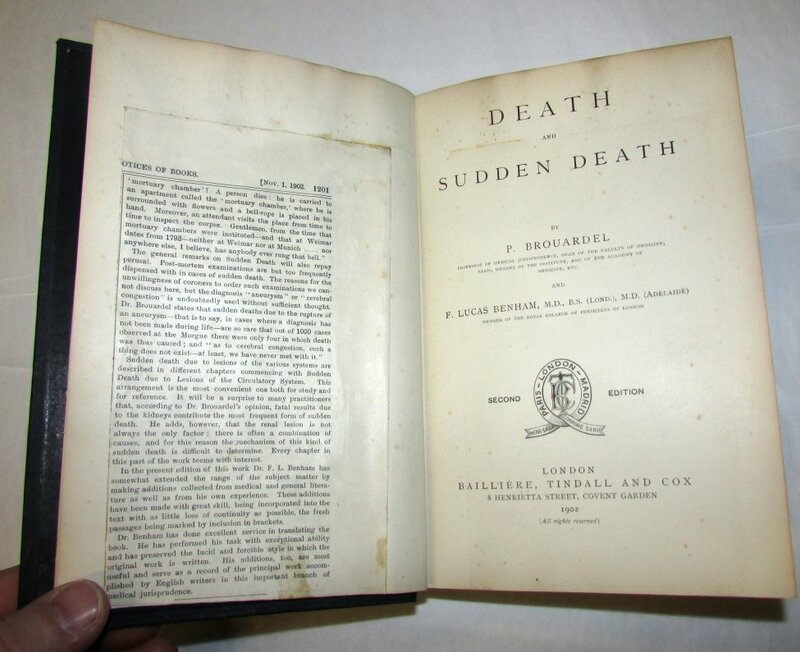 Death and Sudden Death. Handbuch der Psychiatrie. Allgemeiner Teil, Abt. I-V (WITH): Spezieller Teil. Abt. I-VII. (all published). London: Bailliere, Tindall And Cox, 1902. 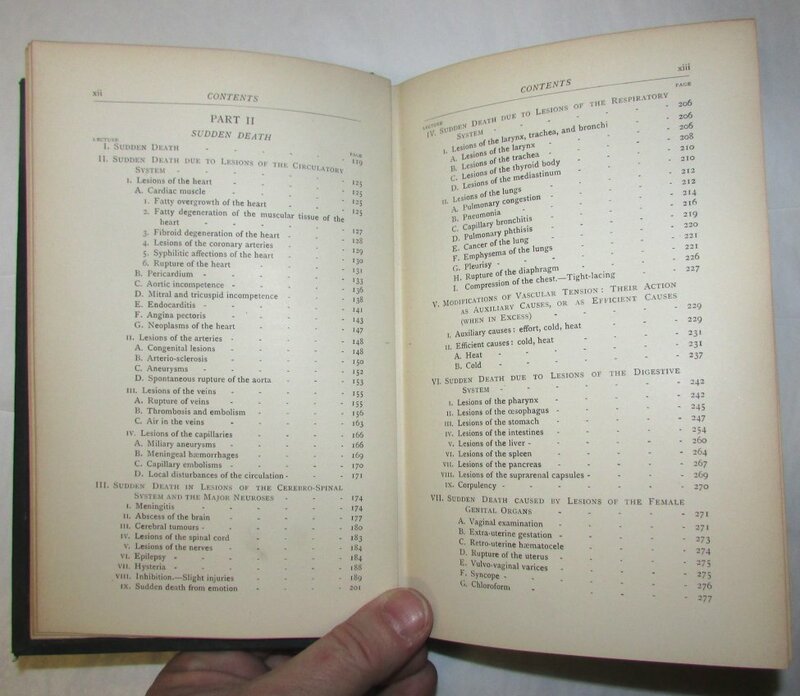 Second edition (revised and greatly enlarged). Tall 8vo., original dark green cloth lettered in gilt, xiv, 336pp. 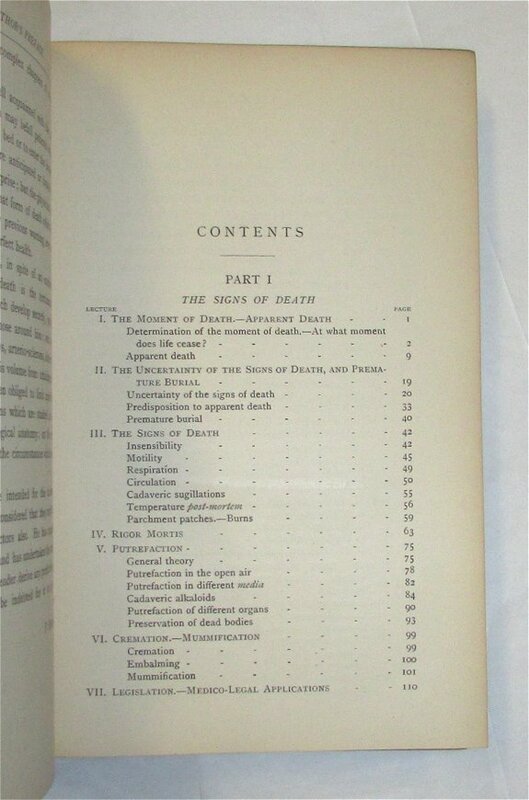 With a review from �The Lancet, 1 Nov. 1902� tipped on the verso of the front free e/paper and the half title, signature, otherwise a near fine copy. Paul Brouardel [1837-1906] French pathologist, hygienist and member of the Academie Nationale de Medecine. He earned his medical degree in 1865 and became director of medical services at the Hospital Saint-Antoine in 1873. He was appointed Professor of Forensics a the Faculte de Medecine de Paris and he became a leading authority in this field. He was also a passionate advocate for issues involving public health tackling such problems as food safety, tuberculosis, venereal disease and alcoholism. 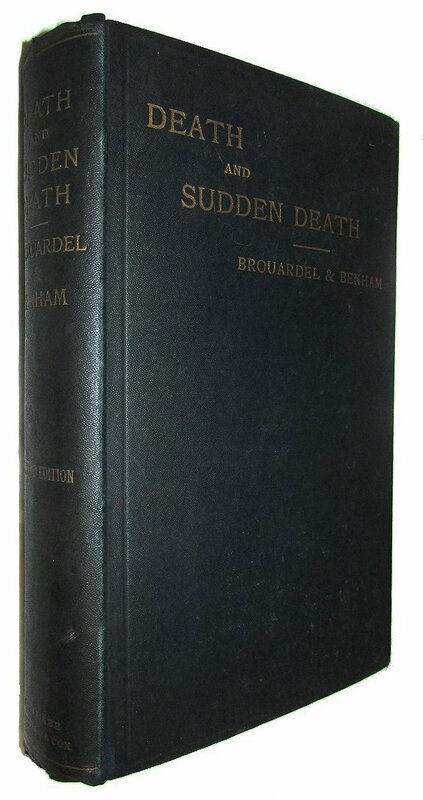 Brouardel was the author of several works, including the above title, which was first translated by Frederick Lucas Benham and published in English in 1897, then revised and enlarged by Benham, for this second edition. 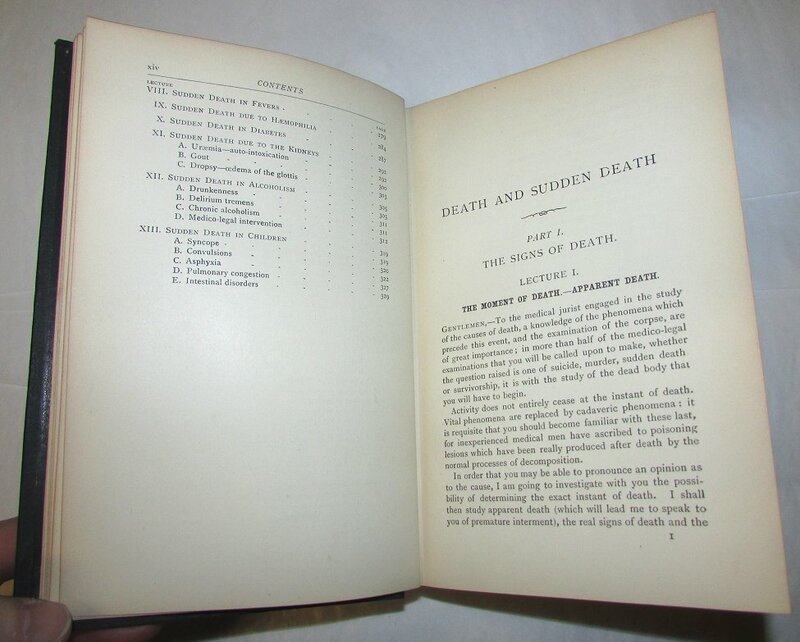 The work deals with �a particular branch of forensic medicine and one which has received scant attention in English medical literature.� Brouardel deals with the phenomena of death while the second part addresses the clinical causes of sudden death.